What makes a twister twist? Where does acid rain come from? Is it true that snow is sometimes green? Or even red? Can it really rain cats and dogs . . . and frogs? 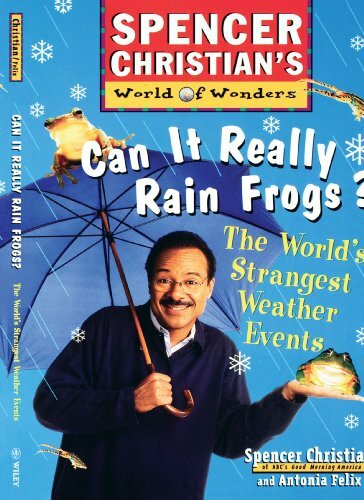 Join popular ABC-TV weather forecaster Spencer Christian as he explores the amazing--and sometimes unpredictable--world of weather. Look inside a flash of lightning. Mix up your own instant rainbow. Find out how caves "sing" and if a tornado can actually pluck the feathers off a chicken. It's an action-packed tour of the world's strangest weather events--with lots of easy-to-do activities that let you experience the secrets of nature up close. Plus dozens of fascinating sidebars, fun facts, and illustrations bring the world's wonders to vivid life. What's the weather? It's awesome!